I’m back with another analysis for PlaneBusiness this week. Turns out American has been losing ground in head to head markets from Dallas to just about everyone over the last few years. That means opportunity. But the most interesting thing I found in researching this was the varying strategies US Airways and American used for fighting Spirit. But that’s the topic of a future post. I was asked to comment on the recent growth in ultra low fare options in Cincinnati. Though I will say that the quote used to close out the story wasn’t exactly clear about my point. While there are vacation companies that have been around for a long time (like Apple Vacations), there are others that come and go with relative ease. It takes a lot less money to start up that business than an airline, so they’re quicker to come and quicker to go in general. The AA/DFW story might have been interesting to read, but the last thing I need is something else needing a username and password, so I skipped that item. Nice to see the people of CVG getting a break in travel even if it’s just to a vacation spot. Not nice to be held hostage by the dominate carrier in an area with high fares just because you have the option to fly nonstop to a lot of places. Greyhound bus celebrates it’s 100th birthday this year because there will always be people who would rather take three days to get somewhere at a low cost then not go at all. So carriers like Allegiant, Spirit, the new Frontier will always find a place at large dominated airports with their lower costs and not so frequent schedules. Agreed with David, these “subscription required” articles are a pain and very few people are going to bother reading them. You may not like paying for premium content, but PlaneBusiness is an excellent publication. I will continue to link to it here when I write something there. nope, not interested in signing up for PlaneBusiness. 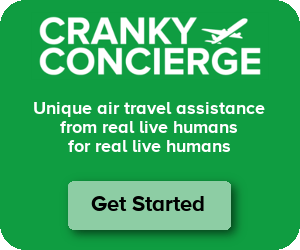 Cranky, the first rule of business is to listen to your customers. Being shunted to a pay site is annoying, and not why we come here. You are risking customer goodwill in doing so. I don’t see what the harm is in him posting subscription-only articles, so long as he denotes them as such (which he does). It costs nothing to skip subscription links. Look, you don’t want to sign up for PlaneBusiness? Fine with me. I will continue to post everything I do whether subscription-based or not, but I will mark it as such. I truly cannot even understand why anyone would be angry if I post a link to something I’ve written on a paid site. Just don’t click it and move on if you have a problem. So here’s the real problem, Plane Business is just way too expensive. Two skins for a year subscription; or, 50.00 for a quarter. Really? Now for 2 or 3 bucks I might take a quick peek. Cranky, keep linking, but tell those folks they’re missing a lot of customers. Michael – The point isn’t to get the widest audience. It’s to create a product that the most serious of investors and airline employees are willing to pay for. I’ve subscribed myself since I was in college, because I’ve always thought it worthwhile. Dropping rates to 1/100th of what they are today is not going to help the publication in terms of revenues or value.